*2 Vehicles for $120.00 each. You save $20.00! Our Top of The Line Show Car Wash and Detail! 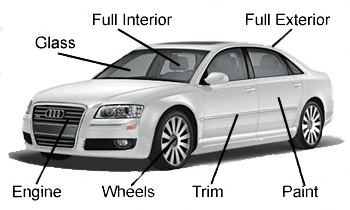 Each detail package provides custom services designed to support any vehicle type. Our detailing professionals work from custom checklists in order to assure every request is fulfilled and nothing is missed. Autobahn Mobile Detailing proudly uses Zaino products to detail your car, coupe, trusk or SUV. We double and triple check every step in our custom detailing processes to assure your satisfaction with our work.